The Nationals already seemed like a possible ongoing pursuer of starting pitching before trading away Tanner Roark; now, it’s all but inevitable that the club will add another new arm. Veteran free agents Wade Miley and Anibal Sanchez are both on the Nats’ radar, per Ken Rosenthal of The Athletic (Twitter links), though it’s not clear whether either is particularly likely to land in D.C. Both hurlers turned in excellent results in 2018 after overcoming injuries, with the latter relying on his ability to induce groundballs and the latter finally overcoming his home run woes. Sustainability remains a question, of course, as each has had his share of struggles in seasons prior. Whether the Nats will also be exploring higher-end pitching options isn’t yet fully clear, but president of baseball operations Mike Rizzo did say today that the club is performing “due diligence” on Japanese hurler Yusei Kikuchi, as Pete Kerzel of MASNsports.com tweets. Given the wide interest that the 27-year-old has drawn to this point, it seems safe to assume the Nationals are at least open to making another significant rotation addition this winter. It’s still far too soon to know how the market will develop for Kikuchi, but we keep hearing of teams that wish to be involved to some degree. The Blue Jays intend to sit down with the 27-year-old lefty, per Shi Davidi of Sportsnet.ca (via Twitter), adding another organization. Though the Toronto club in no way profiles as a 2019 contender — most of the talk has surrounded its possible marketing of its own pitching — it surely has designs on a fairly quick bounce back and may view Kikuchi as a nice target to provide some good innings both now and in the future. White Sox GM Rick Hahn says he’s not likely to add a significant starter via free agency (via James Fegan of The Athletic, on Twitter), but that evidently won’t stop him from checking in at the top of the market for relievers. The Chicago organization has “shown interest” in veteran hurler Adam Ottavino, MLB.com’s Jon Morosi reports on Twitter. It’ll likely cost a pretty penny to reel in the talented right-hander, who is also a clear target for more obvious contenders, though perhaps the White Sox will plan to offer him and others a chance to work as the closer. It seems the Athletics are contemplating another bullpen buildout after succeeding with that strategy in 2018. Rosenthal tweets that the organization is interested in a reunion with Jeurys Familia, who certainly also ought to draw quite a few hits from other teams, particularly since he only just turned 29. While the rotation is an obvious need in Oakland, Rosenthal says it’s one that’s likelier to be met at a later point in the offseason — with “inexpensive” arms. It sounds as if the A’s won’t be driving the market on any of their top free agent targets. The search for diamonds in the rough paid out handsomely last winter, but hitting it rich again will surely be a challenge. No titles in over 29 years, that jokeland. They will be jokeland until they actually get a shovel in the ground for the stadium and have a payroll that is respectable and keep their players. Giants success? What success? Look at your payroll…. you should be winning titles left and right but you’ve been the bottom feeders the last 3 years or so and ain’t going anywhere anytime soon. There’s no way I’d wanna be a fan of that team with more then half of their fans being bandwagons anyway who know nothing about baseball and claim they are giants fans. Iol, I can sense your jealousy through your keyboard. 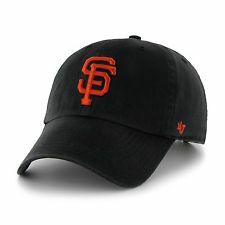 The giants won 3 world series titles in 5 years, as a giants fan I’ll take a few down years after that, any fan would. Btw, you might want to tell your gm to not waste first round picks on college QBs who are gonna play football lol poor jokeland, Billy ball sure does win a lot of regular season games though huh ? Hahaha there’s the “3 in 5” I was waiting for, that’s awesome. JD_McTroll. Still living with your parents we see. Hey, free internet! So, I am guessing there are ‘funny’ names for all the teams that have not won ‘titles’ in the last 29 years. I guess that would be half of the teams in MLB. And I guess Division Titles don’t count. Sign Kimbrel at over $13 Million a season or keep Blake Treinen at closer and is up for arbitration. Golly! A move like that is as stupid as suggesting the A’s trade for Madison Bumgarner – oh, wait, you did that. I also like the Oakland triple A’s lol but I will respect they have a solid team for now, that is until ole’ Billy ball trades them all to the Yankees for prospects that either might, or might not work out. How many title winning teams has Billy constructed again ? Sf for both baseball and football are just a bandwagon trash fan base, who dont know anything about sf before 2010 and barry bonds. Would Familia want to sign with the A’s and be a setup man again? Granted, that would be huge for the A’s. I love Trivino, but I don’t know if I can trust him to be the full time setup man for a full year in his sophomore campaign. Nats should trade for Sonny Gray and sign Familia and Britton and call it an off-season. It seems a bit surprising to me that the Nats would have traded Roark without an upgrade plan. I get that he is pretty meh for 10m but are guys like Sanchez or Miley really better? I don’t know that I buy into them suddenly having figured things out at this point in their careers. Am thirsty. Going to get some water. I heard the Yankees drink water, but they are looking for an upgrade so they are in talks with Gatorade. Survivor is still a show ? Is there an ex Yankee competing or something ? How are Miley or Sanchez an upgrade over Roark? The Nats rarely make any sense. Maybe they want Kluber or Bauer? And just who would they give up for one of them? You could put together a pretty nice package starting with Michael A. Taylor and Carter Kieboom. Who made your life a living hell as a child? Do you need to talk? Do you realize the A’s gave up the territorial rights to San Jose expressly so your Giants wouldn’t leave SF? And that unexpected influx of cash when Silicon Valley boomed helped fund those three rings? I’d be kinda thankful. Of course you probably jumped on the wagon long after all that happened. Adam Ottavino doesn’t strike me as the kind of reliever that the White Sox would want to invest too much money in. He just turned 33 and has never been a full time closer. While Ottavino has demonstrated an ability to put up some eye popping SO numbers in the hitters haven known as Coors Field he also has an alarmingly high BB/9 ratio. Last season as Wade Davis’ primary setup man he had numbers that significantly bested those of the Rockies closer and would make Greg Kimbrel proud. But the year before he more closely resembled Carlos Marmol. As a White Sox fan I say use those dollars and put them toward another area in FA, be it starting pitching, a catcher or the Bryce Harper fund. The White Sox already have plenty of younger right-handed pitchers with power arms and some command issues starting with recently acquired closer Alex Colome, veteran Nate Jones, MLB ready relievers like Ian Hamilton and Zack Burdi on down to near ready prospects such as Tyler Johnson and Jose Ruiz. As a Cubs fan I would also be leery of investing too much into money into Adam Ottavino and for most of the same reasons. As a bonafide contender, the Cubs have a clearer need in the bullpen, be it a righty to potentially take over the closer role with Brandon Morrow’s arm issues or a southpaw to take over FA Justin Wilson’s spot in 2019. The Cubs have made no secret that addressing their bullpen is priority #1 this offseason. That being said, gambling on a pitcher with Ottavino’s command issues could be a costly mistake. The last time the Cubs invested significant dollars into a Rockies pitcher with some success in Coors Filed was this time last offseason when they signed starting pitcher Tyler Chatwood. Somehow, Chatwood came to Chicago and put up BB/9 and SO/W ratios that even Carlos Marmol never reached as a Cubs “legend”. Jerry needs to sell both of his teams before the fans wake up and realize that he’s the biggest stumbling block. Yes. Jerry Reinsdorf is a terrible owner. All he’s done is preside over 7 championship teams in Chicago including the only one on the South Side that anyone can remember unless they are at least 101 years old. When he walks away with more World Series trophies on his mantle before retiring the same old spiel will follow him from ungrateful fans like you who insist JR had nothing to do with any of them. Btw-The bad news for you is that Reinsdorf’s son Michael will continue to run the Bulls. Come to think of it, it could be bad news for all of us! But as a moderate Bulls fan and diehard White Sox fan I will always appreciate JR’s contribution to Chicago sports as well as his overall input into both the NBA and MLB as one of sports most influential owners. As a Cubs fan also, I can safely say that Reinsdorf has been the best baseball owner in my 63 years of fandom. While I respected Bill Veeck also, I had zero affinity for the corporate ownership of the Cubs, be it the privileged Wrigley or Ricketts offspring or the Tribune Company. As a lifelong White Sox fan myself, I can agree that Reinsdorf is a good owner but is certainly not without fault. While his loyalty is respectable, it doesn’t always make for good business decisions. For now I have a lot of faith in Rick Hahn and trust he’ll make good on the direction he’s taking the Sox but he’s in the GM position because Kenny was promoted. Not because Jerry wanted a change. For years there was solid talent during Robin Venturas time, but as lousy as he was, he kept his job and his time ended when he chose to not return. Regarding the Bulls: Aside from a few flashes here and there, they haven’t done anything under John Paxson and are currently a disaster. But Pax will keep his job as long as he wants because Jerry remains loyal. Again, an honorable trait but not always best for his teams. Over the last 50 years, Jerry Reinsdorf has brought the city of Chicago seven championships. All other owners combined over that time (including previous owners of the Bulls and White Sox) have brought five. You would think that Rizzo already had the framework of a deal in place to add a pitcher, before pulling the trigger on the Roark trade. I sure hope so. Sure hope we don’t end up with Edwin Jackson again!! If the Nats go the trade route to grab their number four or five starter, it will be a young player with lots of control years who has great upside but hasn’t broken through yet. The analog here is the Gio addition years ago. This lightning in a bottle approach leans heavily on your scouting and coaching staffs. But the Nats have used this method successfully for years because they have invested in these elements of the team..
A trade would mean spending some of the farms talent and most likely parting with some pitching as well. Players like Fedde and Micheal (Say A) Taylor are obvious chips but there is also several players at the mid farm level who could be on the move… but sadly not enough.